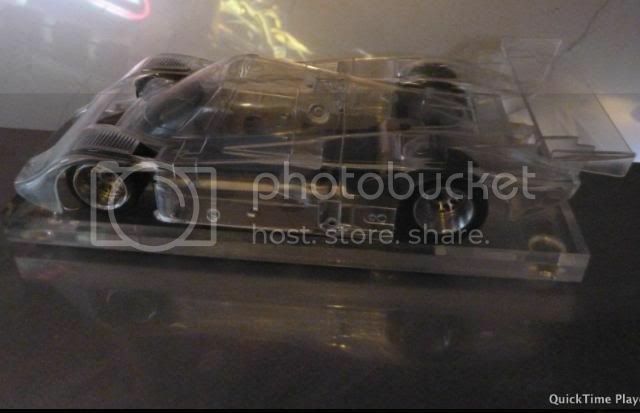 Way back in '05 I bought a 1/24th kit with a Lancia LC-2 from Dokk at the Cruzin' Arizona Convention. I've changed a few things over the years, adding alloy wheels and incredible ScaleAuto ProComp 3 tires (glued and trued donuts) but I've always kept that Lancia body, I even bought another and the correct Martini decals for some day when I get time. 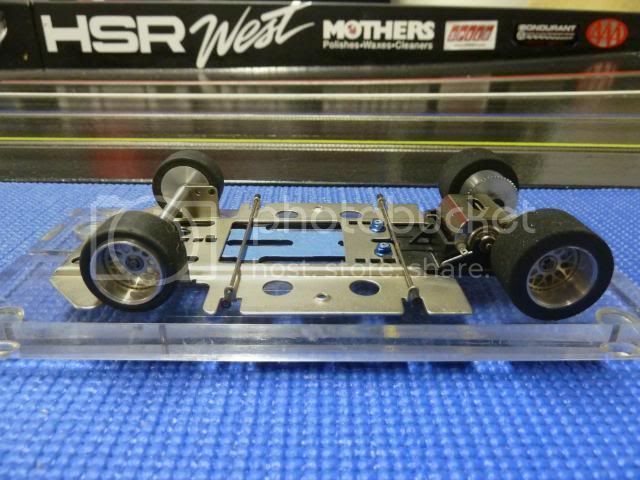 Recently my pal Jim Armstrong found this clear, Tamiya Tamtech body and thought of me. I love it! 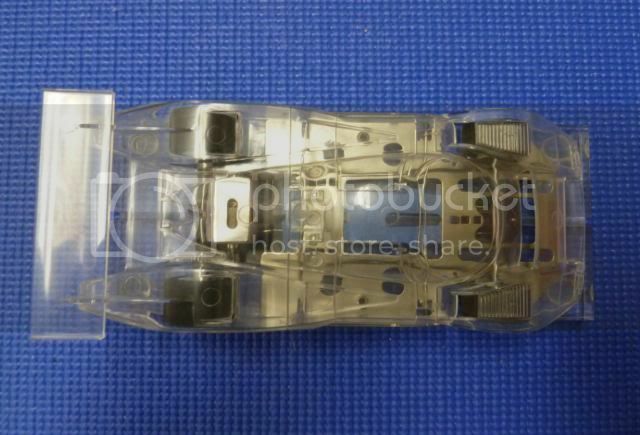 This is very, very thick plastic or Lexan. There aint gonna be any paint! That drooling may be due to age! I got wood and damned near peed myself when I saw this clear body. Almost the same reaction I had when I met my wife except this time they want to change my Depends. Do you have any 1/24 TSRs ? Have you tried the ProComp3 ScaleAuto rubber? It's been an amazing fix (equalizer) for many of the 1/32 non mag classes. I do have custody of 8 1/24 TSR's which will be put to use at this years San Diego Co Fair. I will have to try your suggestion, thx. Dave, make sure that the car is updated to the steel centered guide pin! And I love the LC2, have a few Tamiya clear bodies and plan to paint one and apply the martini decals. It has the pin. 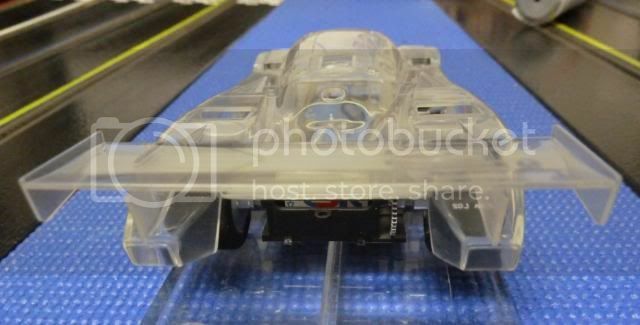 I've heard that there may be a hard plastic version of the LC2 Tamtech and put the word out that I'm looking for one in the "swap meet" section of Slotblog. I'm saving my decals for that body if I find one, otherwise I may have to finally breakdown and paint the second Lexan body I bought from you. Are you interested in visiting the auction again this year? 24 > 26 of June at the Fairgrounds.